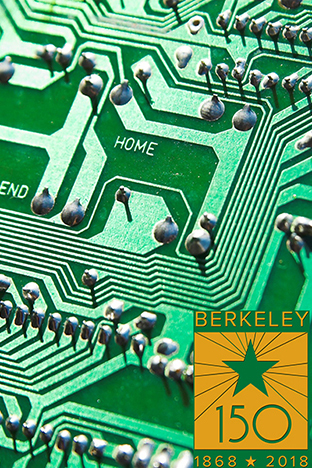 UC Berkeley Events Calendar: Berkeley EECS Annual Research Symposium (BEARS) 2018: More Than Moore: Is this the End of Moore's Law? After nearly 50 years of Moores Law, and many premature predictions of its demise along the way, it is now clear that conventional transistor scaling is finally reaching fundamental limits. Nevertheless, Berkeley EECS researchers are forging ahead with innovations from the basic materials level, through device and circuit design, to new architectures that are anticipated to enable the continued functional scaling of information technology performance at lower power dissipation that Moores law has delivered. This years BEARS conference will highlight some of the latest thinking and results that show a bright future for electronics and computing. BEARS is an annual symposium featuring a slate of informative talks and lab open houses offered by distinguished faculty members and advanced graduate students. Industrial affiliates can preview the very latest work being carried out in the Department of Electrical Engineering and Computer Sciences.